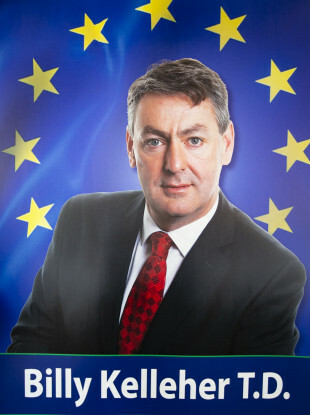 FIANNA FÁIL’S BILLY Kelleher will run as a candidate in the European elections that are to be held in Ireland on 24 May. At the weekend, the Cork North-Central TD wasn’t chosen as an MEP candidate at the party’s selection convention. Party leader Mícheál Martin had said that TDs could not run in EU elections. Despite this, Fianna Fáil’s National Constituencies Committee has met and confirmed the addition of Kelleher, as well as Galway TD Anne Rabbitte to the elections ticket. Kelleher will run in Ireland South and Rabbitte has been added to the Midlands-North-West ticket. Ireland currently has 11 MEPs, but will get two extra seats if Brexit isn’t extended beyond the 22 May (meaning the UK doesn’t take part in those elections). Email “Billy Kelleher will run as an MEP candidate for Fianna Fáil”. Feedback on “Billy Kelleher will run as an MEP candidate for Fianna Fáil”.